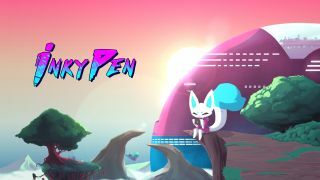 InkyPen is a subscription service offering access to 'thousands' of digital comics, with plans to open up to manga in the near future. The Norwegian startup is billed as an "all-you-can read comic subscription service for Nintendo Switch", and joins a very selective roster of non-gaming apps on the console – alongside YouTube and Hulu, but still missing the likes of Netflix and Amazon Prime Video. The Nintendo Switch's 6.2-inch screen wasn't necessarily made with comic-reading in mind, though the InkyPen app allows you to zoom in on successive panels to offset this – and you always have the option of displaying comics on your TV via the Switch dock. Given the lack of big-name apps like Netflix, or even Comixology – Amazon's own subscription service for digital comic – it's curious that Nintendo would launch a new service on the Switch console, though the Norwegian startup offers most of its content globally. By contrast Amazon's larger Comixology service retails at $5.99 – though is still only available in the US.